Thank you Hammacher for sending products for my gift guide. All opinions are my own. Hammacher’s tagline is “guaranteeing the best, the Only and the unexpected for 170 years.” Some of their products are ones you may see elsewhere, but they have an entire category of exclusive products. Many of their Only or exclusive items are really clever inventions that solve problems in unique ways. For example, they have The Only Cordless Heated Bath Mat. How nice would it be to step out of a bath onto a warm bath mat without worrying about a cord? I was sent two of their exclusive items to show off in my gift guide this year. I chose two items that I plan to give to kids, though I think both will entertain adults a bit too! The Child’s Arcade Crane Machine is one that captured my attention for nostalgic reasons. The only happy or positive recurring dream I’ve ever had was one about being inside of a claw machine full of stuffed animals. Except it was a gigantic one like the size of a room! I would dream about being in this massive claw machine of stuffed animals and grabbing them and tossing them down the spout. Because of that dream, the crane machines in stores always caught my eye, and I always thought about how fun it would be to go up in them and pick out the toys I wanted. Though like most parents, mine weren’t too keen on giving me money to try to play very often at all. So I love the idea of this child’s arcade crane machine. 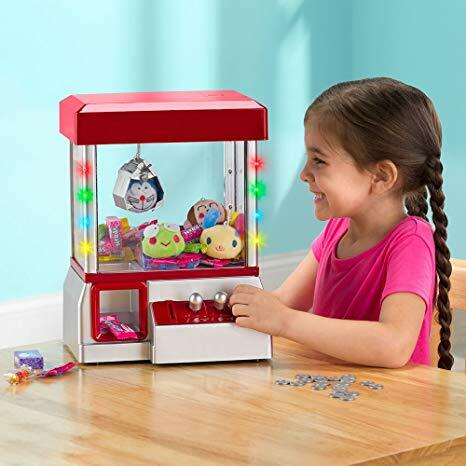 It comes with a few plush animal prizes that you can practice getting out, or kids can add in their own little toys to pick up instead. This way, kids can endlessly relive the excitement of successfully picking a toy from a crane machine without the constant use of quarters. It is recommended for ages 8 and up. The other item I picked out is The Robotic Pugilists. If you know a kid who loves remote control cars but has too many, I’d recommend these. They are remote controlled robots with five different maneuvers. The controls are really cool in my opinion. Instead of simply having five buttons to push, the controls react to movements. For example, you swing the left controller to make a left jab, or swing the right controller to make a right hook. This set comes with two robots and four infrared controllers. These can be used by kids 3 and up, making them a fun sibling gift! 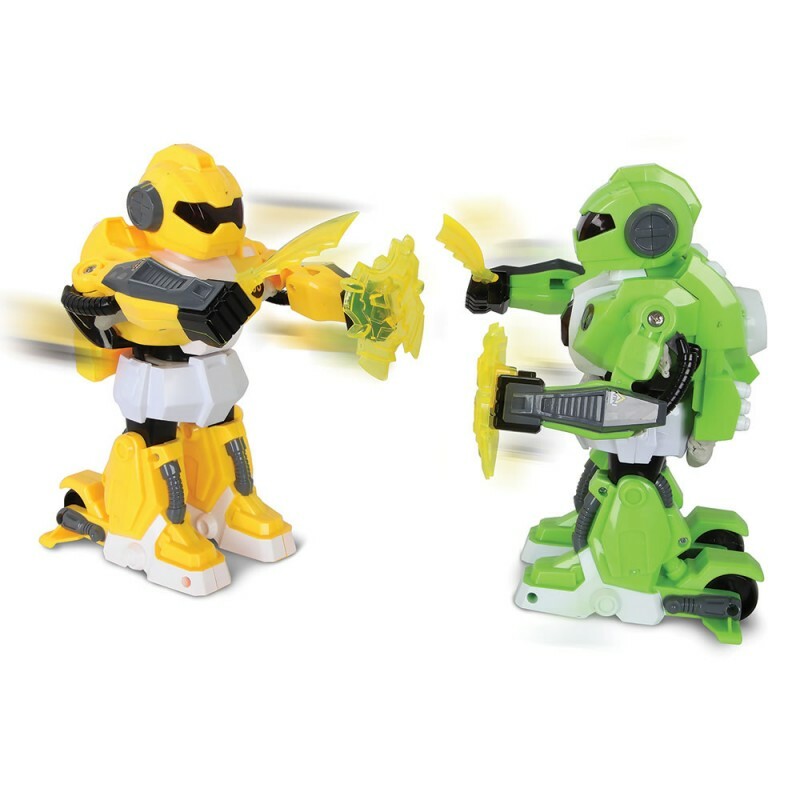 Both of these toys are exclusively available from Hammacher so check out the Hammacher site to find them. Also be sure to browse their The Only and Exclusive pages from the top menu if you need unique gift ideas. My Mother in Law used to get an Hammacher catalog. I remember they had great unusual gifts. I haven’t seen the name in years. Thanks for reminding me of the name. I love the crane. I like that this company has been around for so many years. They make such nice quality toys! This is a great company! I always loved the crane machine game and on occasion would play it for my nieces whenever we see them at a store. They would totally get a kick out of this one! Oh my goodness the crane is sooo cool, every time my family goes anywhere ans my kids see thw claw grabbing toys we have to stop and play. My kids would LOVE these toys. Whoa! That claw machine would make a great gift! I know soon always wants to try those games, but sadly no one in the family is very good at them. I’m sure I can talk one of the grands into getting one….